Anyone who is new to the world of online casinos, or anyone who is looking for somewhere new to place their bets, will be looking at a site’s casino welcome bonus when making a decision to sign up. What might stand out to them about Betsafe Casino compared to other casinos is that the casino bonus extends over the first three deposits rather than just one. Once you sign up with Betsafe, make your first deposit and the welcome bonus will appear in the ‘available bonuses’ section of your account. Activate it and your deposit will be doubled up to €250 and you’ll also receive 10 Big Spins to play on NetEnt’s slot, Gonzo’s Quest. On your second deposit, you can receive a 50% bonus up to €250 with an additional 25 Free Spins to use on any slot, video slot or jackpot of your choice. Just make sure that you have finished all the requirements from your first deposit as you cannot use two bonuses at the same time. Finally, your third deposit has the biggest reward with a 100% bonus up to €500 with 25 Free Spins. There’s not just a welcome bonus for you to enjoy, but also a competition for new players. You’ll automatically be enrolled into the Betsafe New Arrivals Tournament where you could be one of the top 10 who wins a prize from the €1,000 pool. All you have to do to qualify for the tournament is play a minimum of 20 spins on selected slots. Play starts at the beginning of every week, so be sure to open your new account on a Monday in order to enjoy 7 days of competing. Betsafe have many casino bonuses to enjoy long after you have benefited from the welcome offer. Table game enthusiasts will love something that’ll enhance their experience in the live casino. All you have to do is wager at least €20 real money on Live Roulette or Live Blackjack and a €20 bonus will be available to claim in ‘available bonuses’ in your account. There are always limited-time promotions to keep you interested. This January, you could have taken part in the Cosmic Eclipse Free Spins deposit bonus for new players. 10 Free Spins were up for grabs every day for 4 days to play on the NetEnt slot. All sections of the Betsafe site are available on the Betsafe app including the casino, live casino and poker platforms. Even though they are all in one place, switching between them is simple and navigating the app is slick and seamless. Just because the gaming has gone mobile doesn’t mean that there are limits to your play. There are over 300 casino games from industry leaders such as NetEnt and Microgaming on the app. Keeping abreast of the terms and conditions when participating in bonuses is essential in getting maximum enjoyment from playing on any online casino. There are industry standard terms which are useful to keep in mind before taking part in any casino bonus and prevent any nasty surprises. Eligibility for promotions depends on a number of things, but the main factor is whether you have made a deposit or not. Many Betsafe casino bonuses are only valid with a €10 deposit but the occasional promotion requires no deposit, such as the New Arrivals Tournament. Whether you’re eligible is also dependent upon whether you are a new or existing customer and how many times you have already participated. Restrictions might also be in place if anyone is using the same computer, network or IP address. This also extends to households and shared or public computers such as those at libraries, workplaces and universities. Another thing to consider would be the wagering requirements that apply to all bonus money and bonus winnings. Betsafe’s standard requirement on bonuses is 35x, which means that the value of the bonus must be wagered 35 times before being withdrawn as cash. For example, if you receive €10 as bonus money, you would then have to gamble €350 before making a withdrawal. There are always time limits on how long you have to meet these requirements which are typically 30 days but can be as little as 3. All online casinos review their customer’s betting patterns in order to determine if they are committing, what Betsafe calls, Irregular Play. This is to avoid players abusing the promotion’s rules for monetary gain. 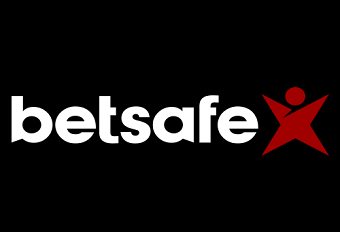 Betsafe, unlike most casinos, specify what behaviour they judge to be foul play such as low or zero-risk betting, even-money betting, changing your gaming pattern or making a large second deposit in order to cash out a built-up bonus balance. Keep an eye on your tactical play as Betsafe reserves the right to confiscate winnings or close your account if they judge your betting as abuse of the promotions.